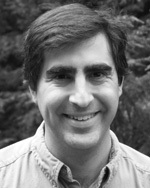 Dr. Scott Wolk is an Astrophysicist at the Smithsonian Astrophysical Observatory in Cambridge, Massachusetts. Dr. Wolk was an undergraduate at Cornell University in Ithaca New York and received his Ph.D. from The State University of New York at Stony Brook in 1996. His research has involved work in different fields of astrophysics, including: star formation, evolution of low mass stars in the vicinity of massive stars, evolution of circumstellar disks, young brown dwarfs, planetary and cometary X-rays, isolated neutron stars and X-ray instrumentation. His Ph.D work concentrated on the study of the relationship between the rotation of young stars and the presence of disks. 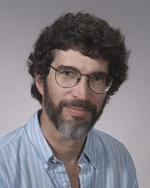 After receiving his Ph.D. Dr. Wolk came directly to the Chandra X-ray Center as a member of the Science Operations Team. He leads the effort of monitoring and trending spacecraft performance. Dr. Wolk has worked in most wavelength regimes. He is currently developing a database of all pre-main sequence stars observed with both Chandra and NASA's fourth Great Observatory, Spitzer. Dr. Eric Feigelson was trained in astronomy at Haverford College and Harvard University during the 1970s. After a post-doctoral position at MIT's Center for Space Research, he entered the Astronomy & Astrophysics faculty at Penn State in 1983 where he is now Professor. He has studied various topics in X-ray astronomy, focusing on its implications for the formation and early evolution of stars and planets. He also has a long-standing collaboration with statisticians to improve astronomical data analysis. He was a John Parker Fellow at Harvard, shared two NASA Group Achievement Awards, received an NSF Presidential Young Investigator Award, and a Department certificate for distinguished teaching. He has led the astronomy undergraduate and public outreach programs at Penn State, and helps run its Center for Astrostatistics. He has coauthored over 200 articles and 4 books in X-ray astronomy and statistics. Dr. Feigelson has devoted the past three years to leading the Chandra Orion Ultradeep Project which provides the most detailed study of a young stellar cluster and star/planet forming region. Joan Najita is an Astronomer at the National Optical Astronomy Observatories. Her main research interests are in star formation and the formation and evolution of planetary systems. She has extensive experience studying the gaseous component of circumstellar disks. These studies are aimed at understanding the physical mechanisms that govern star formation and how the evolution of the gaseous component of disks impacts the resulting planetary system architectures. 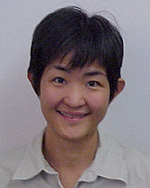 Joan received her Ph.D in astronomy from UC Berkeley in 1993. She received a CfA postdoctoral fellowship and was an astronomer at the Space Telescope Science Institute before joining the scientific staff at NOAO in 1998. She is also a recipient of the Annie Jump Cannon Award in Astronomy.